« Should I go into project management? Today will be a day like most others; work commitments, meetings, deployments, testing, commute, family obligations, etc. Tomorrow will be a very different reality. That’s because tomorrow, I will willingly step back in time some three hundred years. Wait, what? For the past several years, I have been participating in “pirate reenactment”. Yes, you read that right. I love the living history aspect of that time period. With my Welsh and Danish heritage (among several other countries), it’s easy to imagine pirates being part of that. 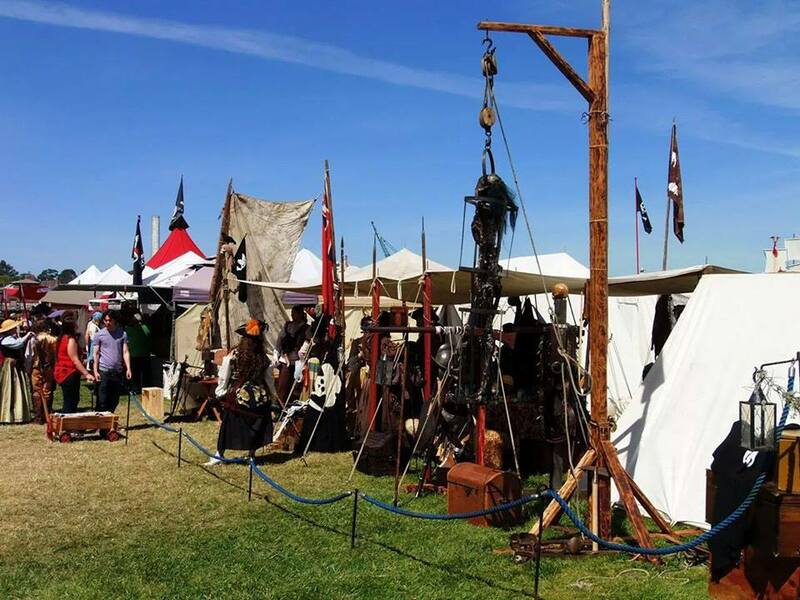 This weekend, I will suit up at the Northern California Pirate Festival, being held in Vallejo, California June 20-21 (one of the largest on the U.S. West Coast). I will be participating with “Pirates of the Silver Realm“, based out of Reno, Nevada. 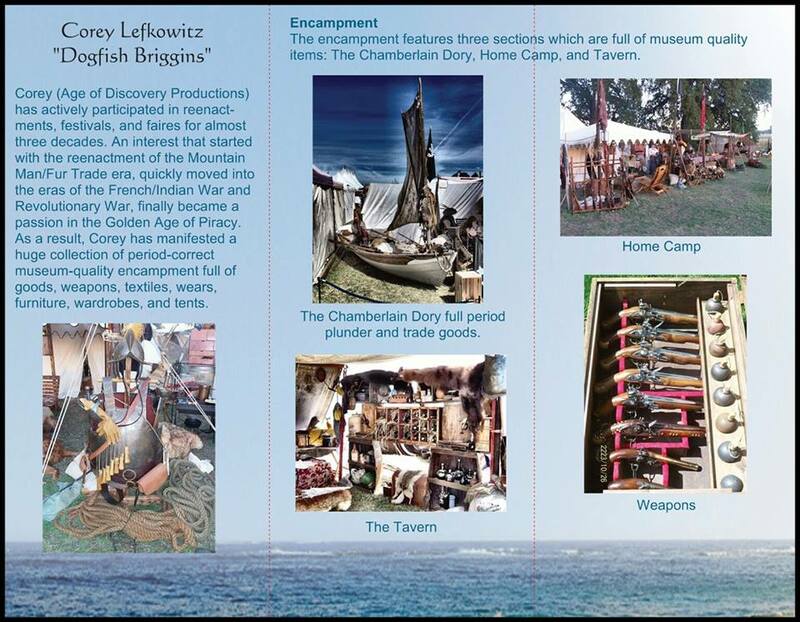 The encampment of the “Pirates of the Silver Realm”. Photo courtesy of Corey Lefkowitz. Used by permission. I look forward to this “time travel” since we are all expected to leave our modern conveniences at the door. For me, part of that means putting my iPhone on Airplane mode, limiting myself to the camera function. It also means checking out entirely from most of the cares of the world, so I can keep in character for the weekend. This has an amazing effect on me when I do it. It allows me to see the world where the romance and interest in the era also allows one to consider the dangers of living at that time (had I done so, I can count four or five times where I’d have died at a young age, due to illness or accidents). This is, for me, the ultimate “unwind”, a way for me to let go of the cares of the world and focus on being a Buccaneer for the entertainment of children and adults. To be clear, this “checking out” is small potatoes compared to rendezvous events that go for two weeks or more, and where literally everything in the encampments are period correct. I hope to take part in an event like that soon. I’ve read various accounts over the past few weeks of just how terrified many are of letting go, even for a brief period. We have become so interconnected, we are now dependent on that interconnection. We can’t disengage from work even if we wanted to. The promise of anywhere and anytime communication has sadly morphed into “everywhere and all the time”. In some accounts, 50% of the population do not take their vacation days. When asked why, some point to the economy and the fear that, if they take vacation days, they will be let go. Others say the pile up of work that results makes the vacation days not worth it. Others accumulate their days, in the hope that they will do something big down the road. To get that many days, they have to save them up for years. Since many workers don’t actually stay with companies that long, they end up cashing out their vacation days for, well, cash. Those vacation days then vanish, and the process starts again. Even for many who do take vacation days, their work still comes with them. Mobile devices and ubiquitous wifi makes it almost mandatory. Even when we’re supposed to be relaxing, or at least doing something else, the tether is still there. A taste of the world in the 17th and 18th century. Photo courtesy of Corey Lefkowitz. May I recommend that, the next time you get to take time away, leave the laptop at home, take the apps that would tempt you to check up on work or other commitments and stash them in a folder somewhere, put the phone in airplane mode, and commit to actually allowing yourself to unwind from life for a bit. I’ll not go so far as to suggest you leave the phone at home, especially if it has a good camera built in, but by all means, disengage for a little while. For me, that disengagement will be in setting up tents and pavilions, pulling a boat into place, setting up rope lashings and towers, placing large amounts of black powder weaponry and swords, and setting up a “tavern” and “play yard” where children and adults alike can come and visit us. It will be hard work, but it will be relaxing and good for the soul, so that when it’s time to pick up again on Monday and get back to the regular work, I’ll be raring to go.